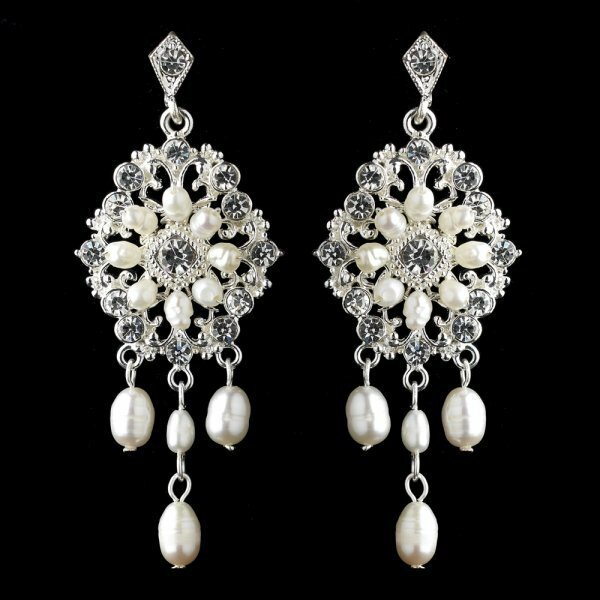 Pretty classic inspired silver chandelier earrings featuring sparkling clear rhinestones and fresh water pearls, that hang beautifully. 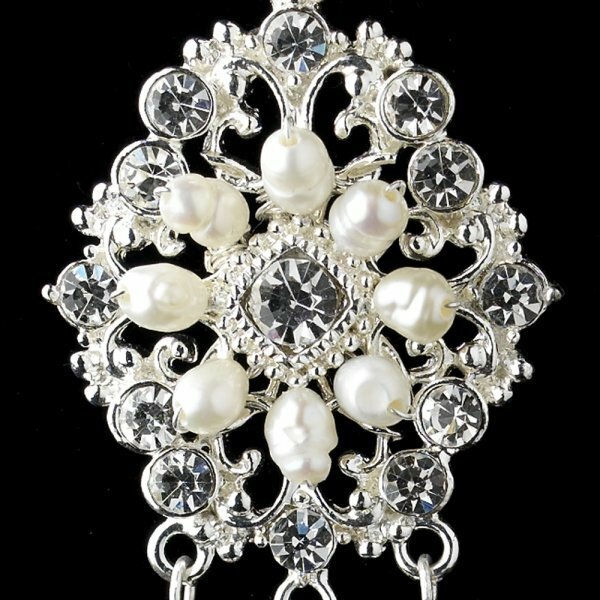 These earrings truly are radiant and are a perfect accessory for any modern or classing bride. Size: 7.5 cm long x 2.5 cm high.